TUESDAY, Sept. 26, 2017 (HealthDay News) -- Emergency room doctors write lower-dose, shorter-term prescriptions for opioids than other doctors do, new research shows. The study, led by scientists at the Mayo Clinic, challenges views that emergency departments are the main source of prescriptions for the powerful painkillers whose use -- and misuse -- has soared in recent years. The research also suggests that patients who get an opioid prescription -- such as for oxycodone (OxyContin) -- during an ER visit are less likely to abuse the drugs over the long term. 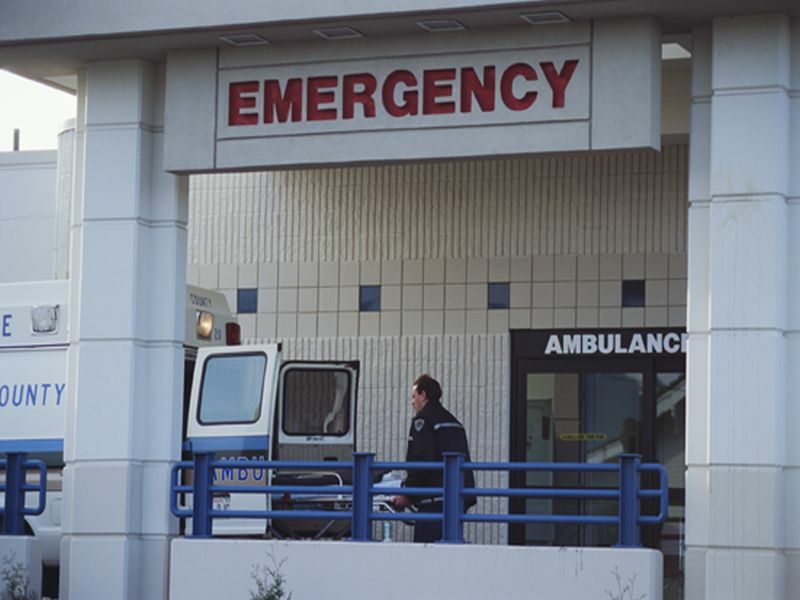 "There are a few things that many people assume about opioids, and one is that, in the emergency department, they give them out like candy," said the study's lead author, Molly Jeffery. She is scientific director of the Mayo Clinic division of emergency medicine research, in Rochester, Minn.
"This idea didn't really fit with the clinical experience of the emergency department physicians at Mayo Clinic, but there wasn't much information out there to know what's going on nationally," she added in a hospital news release. For the study, the researchers analyzed 5.2 million opioid prescriptions -- written for sudden or new pain -- in the United States between 2009 and 2015. None of the patients included in the study had received an opioid prescription within the past six months, allowing the researchers to compare doses and eliminate patients who developed a tolerance for the painkillers. Patients with private insurance who got the prescription in the ER were 44 percent less likely to take more than their three-day supply than those who got their prescription from another source. They were also 38 percent less likely to take more than 50-milligram (mg) of morphine or its equivalent (nearly seven pills of 5-mg oxycodone). And they were 46 percent less likely to advance to long-term opioid use. The results were similar for patients with Medicare, the findings showed. The 50-mg daily recommendation comes from the U.S. Centers for Disease Control and Prevention. But outside the ER, the report found, one in five patients with private insurance received a higher dose. The researchers noted that those who received a higher dose were three times more likely to progress to long-term use. This was true regardless of where they got their prescription. According to study senior author Dr. M. Fernanda Bellolio, "Patients and physicians should be aware of the risk of long-term use when they're deciding on the best treatment for acute pain." Bellolio is research chair of Mayo's department of emergency medicine. The study authors said they hope their findings help curb the opioid epidemic by determining the best dosage to suit patients' needs. Over the past 15 years, the number of Americans receiving an opioid prescription and the number of related overdoses have roughly quadrupled, according to the CDC. In 2015 alone, more than 41 people suffered a fatal opioid overdose each day. The study was published Sept. 26 in Annals of Emergency Medicine.